We have residential doors for every room of your home if you decide to upgrade to a fresh new look! Nothing can bring down the aesthetic look of a home faster than an old and ugly door that doesn’t fit the decor of the room. 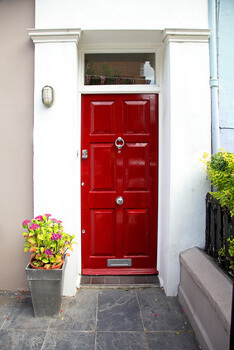 New doors can also increase the value of a home that is on the market to sell. At DC Local Locksmith Experts, we specialize in offering residential doors for your home, no matter what type you need. We excel in giving fast and friendly services, including door installation, door repair, and replacement services. 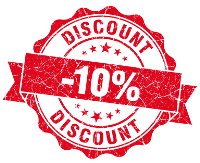 When you call us, we will set you up with a reputable sales agent who will talk you through the process of purchasing the specific door for your needs with upfront pricing, so you don’t suffer from sticker shock after the work is complete! We will strive to make sure that the door you want fits in your budget, and that you are happy with all work done to your home, both inside and out. We know choosing any company can be a daunting experience. But it won’t be when you buy residential doors from us, because we are the best and fastest in the business. We offer a unique service, and that is 24/7 DC door services. That’s right; you don’t have to wait if you have an emergency on your hands! We will come to you to replace or repair your door if you have a problem in the middle of the night. Our fast and friendly mobile technicians are on call to cater to all your needs, even if you need us at 3 a.m. Sunday morning. We employ only the most reliable and reputable employees to do business with you, and are always open to any feedback, comments or concerns. At DC Local Locksmith Experts, we offer a number of services for your residential home. Interior door installation is one of them. We have a door for every room of your home if you decide to upgrade to a fresh new look! Nothing can bring down the aesthetic look of a home faster than an old and ugly door that doesn’t fit the decor of the room. New doors can also increase the value of a home that is on the market to sell. With our upfront pricing, you can choose the doors you want with confidence, knowing you won’t be shocked when the bill comes. We also offer doggie doors and other pet doors for your four legged friends! We know there is nothing as important to you as making sure your pet has a safe door to get in and out of all day. At DC Local Locksmith Experts, we don’t just offer residential doors. Our services also include repair on your existing doors, whenever you need it. Remember, we offer 24/7 DC door services, so if something happens late at night and you need your door fixed, we can get there ASAP to do it. We offer door frame repair, door hinge repair, and door jamb repair, and we guarantee to do the job right. We also do install and repair work, and if you need new door hardware, or your current hardware repaired, we are the company to use. There are many reasons you might need to have your door repaired, and you never know what time of day it may need to be done. One circumstance, although terrible, is dealing with a burglary. The thief breaks your door or door jamb in the process of vandalizing your home and you need it fixed right away. Another scenario could be an accident that occurs because of the weather, such as a tree falling into an exterior door during a storm, or the door jamb warping because of extreme heat. Whatever the case may be, we will come out at all hours of the day or night to either fix the problem or replace the door. We offer a reliable service to any and all customers who need either repair work on their residential doors, a replacement door, or just a brand new door in the home. We are a bonded and insured company, and offer upfront pricing at all times. Our selection of doors can’t be beat…from sliding glass doors to closet to patio to even garage doors, we have what you are looking for. When you need a new door or door repair call DC Local Locksmith Experts. 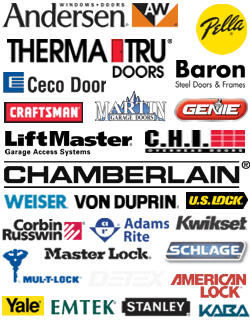 Residential Doors https://dclocallocksmith.com/residential-doors-dc/ 3.8/5 based upon 23 reviews.